Recordings of selected ACE events for the 2013-2014, 2014-2015, and 2015-2016 academic years. 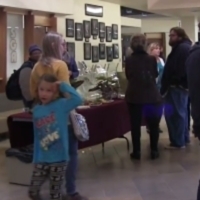 Selected events sponsored by ACE (Arts and Cultural Enrichment) Committee at Great Basin College. 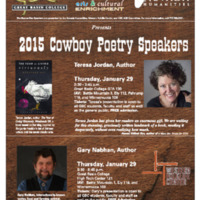 Included is the 2015 Cowboy Poetry Speakers Series (Teresa Jordan and Gary Nabhan). 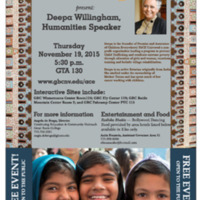 GBC / ACE (Arts and Cultural Enrichment); individual artists and speakers. 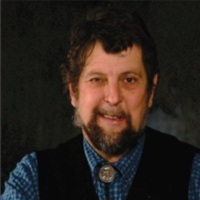 Discussion of efforts of ranchers, environmentalists, and other groups to collaboratively work together to preserve family farms and ranchlands throughout the West, as well as their traditions and customs. 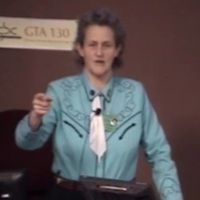 Author Teresa Jordan discusses story-telling and writing as part of GBC's 2015 Cowboy Poetry Speakers' Series. 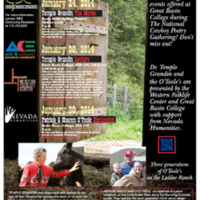 This pdf poster advertised the 2014 Cowboy Poetry Speakers, including Temple Grandin and Patrick and Shannon O'Toole. 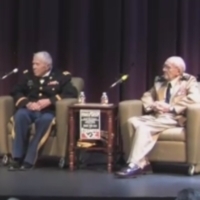 Temple Grandin: "Improving Animal Welfare: A Practical Approach" and "Temple Granding: The Movie"
Interview with Second World War Veterans Ted Blohm and George Winch, Sr.